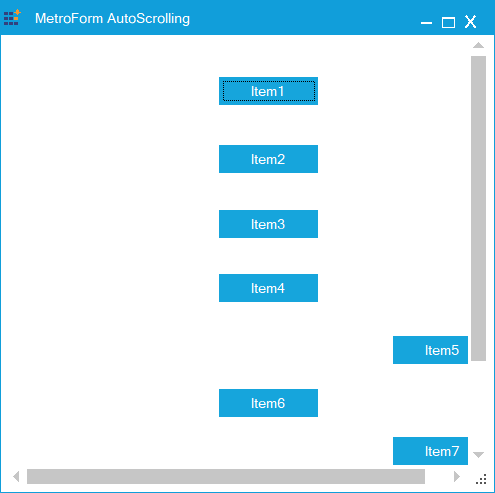 How to add scrollbars in MetroForm? By default, MetroForm don’t have any scroll bar. But we can add scroll bar in MetroForm by the help of Panel. Here we have used the ScrollersFrame in Panel to show the scroll bar and apply the metro style. The following code demonstrates the same.